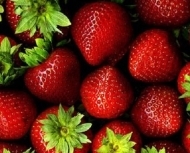 We carry six varieties of everbearing strawberries, all do well in containers and baskets if the traditional approach is not your desire. 10 stolons/pkg. Have you heard of day-neutral strawberries? 10 stolons/pkg. Hecker are a UC Davis creation, outstanding u-pick variety. Is the Yukon or NWT your home, no problem they will produce there too! 10 stolons/pkg. Seascape produces in matted rows or containers. Heat tolerant and robust. 10 stolons/pkg. Shipped as a 1 year old cane in a one gallon pot. 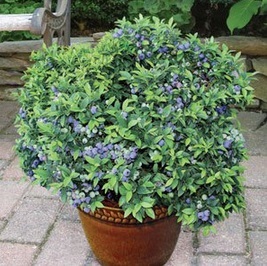 A honest to goodness container blueberry, simply stunning. One year old cane in a one gallon pot.